Back in 2005, two investigative social workers came to John and Tiffany Loudermilks’ newly built house and demanded to come in or else! The “or else” was that they would take their children if John and Tiffany refused. Never mind that it had been 61 days since the investigators had received an anonymous report that the inside of the Loudermilks’ home had safety hazards. Never mind that the social workers knew that the house had been inspected by the county before John and Tiffany moved in to it. John and Tiffany were faced with the choice of preserving their Fourth Amendment rights and losing their children, or going along with the social workers’ unlawful demand and preventing their children from being placed in foster care. They chose to protect their children. The social workers took five minutes to confirm that the two-month-old anonymous report was false, and the investigation was closed. 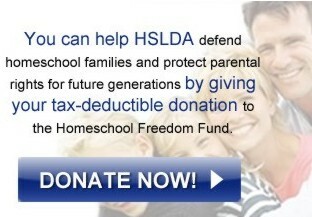 HSLDA sued the social workers and the deputy sheriffs who assisted them in federal court. The district court twice ruled in our favor, holding that the case should go to trial. The deputies alone appealed to the Ninth Circuit and argued that they should be immune from the lawsuit because they were called to the scene by the social workers and relied on their representation that the house was unsafe for children. The Ninth Circuit agreed with them and threw out the case against the deputies. Back in the district court the social workers filed a motion arguing that the case against them should be thrown out too. This time around, the district court agreed with them, relying on the Ninth Circuit’s decision about the deputies. Last week, HSLDA filed the opening brief in its appeal to the Ninth Circuit, arguing that even though the deputies were granted immunity, the social workers should not be treated the same. This second trip to the Ninth Circuit is frankly an uphill battle. But there are critical differences between the social workers and the deputies, both in what they knew and in how they acted at the home. HSLDA has long been in the battle for the front door—protecting the rights of families to be secure from unjustified intrusions into their homes. This case presents important issues in that battle. For example, may investigators threaten to remove a child from the parents and then claim that “consent” to enter the home was purely voluntary? We expect briefing to be completed in April with oral argument next summer. Please continue to pray for favor with the court.